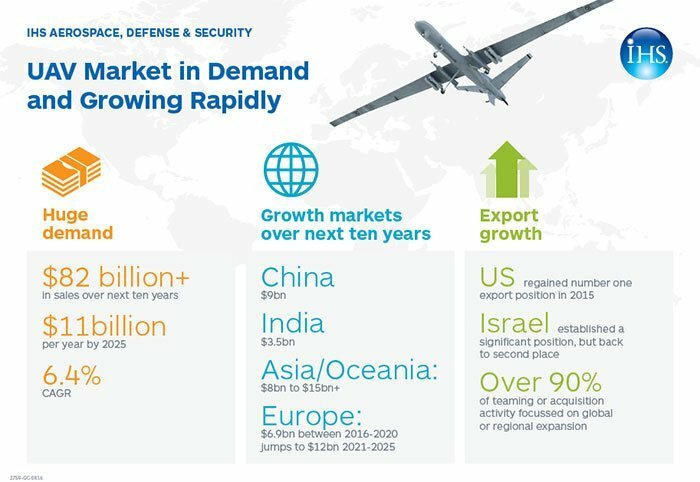 Can Israel keep its position as top UAS exporter? JERUSALEM, Israel (BulgarianMilitary.com) – The saying “Troubles come in packages” has been recently proven to be very true. An Israeli company lost two major tenders for the supply of advanced UAS. The total loss is estimated at 1.2 billion U.S $. But that is just the introduction to a very serious issue that Israeli companies have and will have to deal with in the coming years. The fact that Israeli companies make some of the best, combat proven UAV’s, does not ensure that these will continue to be selected by foreign countries. Unmanned air systems (UAS) have become a very important item in the defence items shopping lists of countries around the world. Since 1985, Israel has accounted one of the main UAV exports worldwide. Despite China’s move into armed UAV exports, it only supplied 0.9% of total exports during this last couple of decades. Well, this is becoming more complicated from month to month. This, due to factors that some can be controlled by Israel, while others are not in the country’s influence “foot print”. The open war between the two major Israeli UAS manufacturers has a very strong impact. Some years ago, the Israeli ministry of defence has withdrawn the export permits to Poland held by the two majors Israeli UAS manufacturers – Israel aerospace industries (IAI) and Elbit Systems. The decision was taken after a fight between the two Israeli companies resulted in resignation of then Poland’s Deputy Minister of Defense. When the details emerged, the Polish press said that he was forced to resign for internal reasons. But the competition between Elbit Systems and IAI for the sale of UAV’s to the Polish Army, which got out of control, was a contributing factor. This is one example to the problems Israel faces in its attempt to keep its top place in the exporting countries list. Another example – last year the Israeli foreign ministry blocked the sale of UAS to Ukraine. This to avoid any negative effect on the Russian -Israeli relations. Since the armed conflict between Russia and the Ukraine has started and intensified, the Ukraine has expressed its urgent need for some types of Israeli made UAS. Negotiations began with some Israeli manufacturers and at least one has reached a very advanced stage. The foreign ministry’s step was a result of Israel’s effort not to provoke Moscow. In recent years, Israel has asked Moscow again and again to avoid selling weapon systems, mainly advanced surface – air missiles to Iran and Syria. The situation has completely changed following the so called “Iran nuclear” agreement, and the war in Syria. Moscow is now supplying Iran with arms of all types and Syria, or what was left from this country, is flooded with Russian weapons systems, that are being operated by Russians with Syrian personnel “in the area”. These two examples and there are many more , show that the number of Israeli made UAV’s exported to foreign countries, does not depend only on their quality and price. And while in most of the competing countries the government helps the local industries to market their products. Israeli politicians, refrain from doing it, even when it is clear that the decision will be made based on political reasons, and not on the quality or the price of the system. But something else is lacking – Israel as a state has not made any move to fortify the status of the local UAS industry. This lack of macro thinking will have a very bad effect in the future. U.S companies are now competing on tenders that previously were considered “Marginal” money wise. “Now we find American companies in almost every competition„ a source in the ministry of defence said. And while this happens in the U.S, in Israel there are no signs that the government has even looked at the issue. Instead, the situation in Israel causes almost an endless war between the different UAS manufacturers, with some reaching a point where it’s hard for them to survive. While the market is flooded with different UAS , and while not any potential customer needs the “combat proven ” systems, manufacturers in many countries , especially China manage to export their products while the Israeli companies still fight against each other and when in most cases , their systems are not cleared for export. Earlier this year, a very fierce fight between Israel and the U.S about the sale of advanced UAV to Germany, ended with an Israeli victory. The German parliament has approved the € 1 billion deal to lease Heron-TP UAVs manufactured by Israel Aerospace Industries (IAI). The approval put an end to a long and twisted saga caused by a mixture of competition and politics. 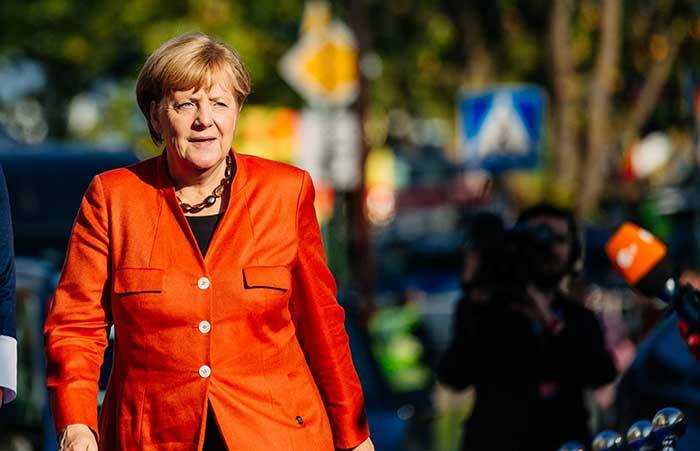 The vote was made after a heated discussion within the coalition led by Chancellor Angela Merkel, following the objections of several of its members to purchase UAVs that may carry armaments. The deal includes a payment of € 720 million to Airbus Defense and Space, which will lease 7 UAVs from IAI (five for missions and two for training), and another € 177 million to be transferred to the Israeli government for use at airports, And supervision and support and maintenance services. The Heron -TP is designed to enable the German army to perform long endurance intelligence gathering missions. This until a Euro-Drone is developed in partnership with France, Italy, and Spain. The German high court earlier this year, rejected the General Atomics appeal that was filed after the Germans selected the Israeli made UAV. General Atomics, that offered the MQ-9 Reaper appealed the selection. A lower court has rejected the American company’s appeal and the case was brought before a higher court. The General Atomics appeal was based on the claim that the selection was made without a competition and that the Heron -TP is not in NATO’s inventory. According to the Germans, the Heron TP is needed to protect and support the German Bundeswehr in deployed operations and will fill the gap between the currently used Heron 1 system and the future European MALE UAV. And only recently IAI lost two competitions where is offered it Hero-TP – one in Belgium and the other in Australia. The two contracts are valued at 1.2 billion U.S $. In the two countries the Israel UAV competed against the General Atomics MQ- 9 Reaper. Israeli sources say that the weight of politics is the two selection was critical. So the Israeli companies face a new very complicated situation. While the Israeli ministry of defence has recently eased the export regulations of Israeli made defence systems, including UAV’s, this is not enough.